Last time I was in Fresno I crashed my parent’s date night. 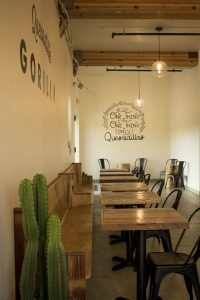 A new restaurant opened up in downtown Fresno called Quesadilla Gorilla. My parents had been there a couple of times before, but this was a new locations, so of course they had to check it out. None of us knew exactly where the restaurant was in the complex, so we were thankful for the signage. We arrived to find we had the place to ourselves, which gave me and dad time to check the place out while mom waited on the couch (!) in the restaurant while our food was being prepared. The style of the restaurant was pretty familiar to me, but I had to explain the “minimalist” style to my parents. While this style is popular in bigger towns and has spread to San Luis Obispo, this is the first time I’ve seen it in Fresno. 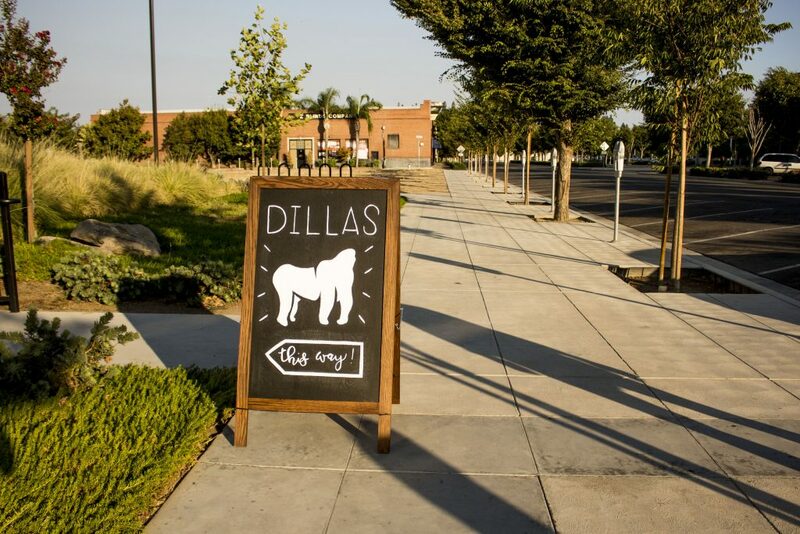 There is a movement to revive downtown, and one of the main strategies is to make the area desirable to the younger crown, in which case mimicking big city style might just be the way to go. We debated whether the “restored” ceiling was authentic or manufactured, and if the artwork on the walls was paint or vinyl, while we waited for our food to arrive. After the first bite it was clear that it was worth the wait! 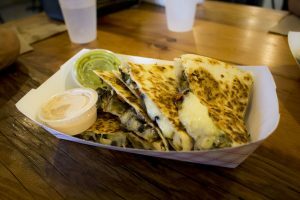 The veggies were grilled to perfection, which nicely complemented the melted cheese and crispy tortilla. As a quesadilla connoisseur I gave it two thumbs up, and wondered if I could convince the owners to open up a place in San Luis. local shop – Ampersand. Luckily, it was just a few streets down the road. They are an artisan ice cream shop that always has a new, interesting flavor [such as Strawberry Basil or Sweet Corn]. 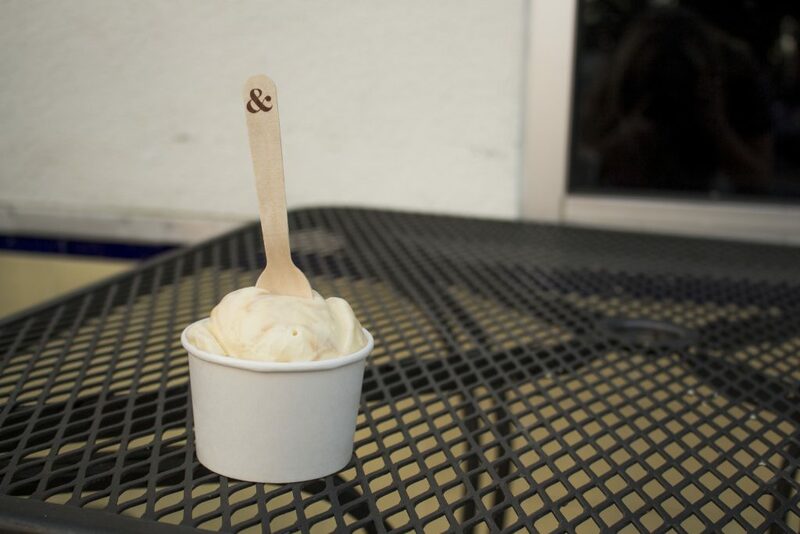 Luckily, my favorite at Ampersand happens to be a staple – Whiskey Caramel Swirl. While I always enjoy sampling the rotating flavors, it’s rare for me to stray from my go-to.